George Washington is perhaps the one Founding Father that most people, both here and abroad, may recognize by both name and image. From his placement on the one dollar bill and the quarter, to his name on numerous cities throughout the United States as well as our architecturally rich capital, Washington is everywhere. 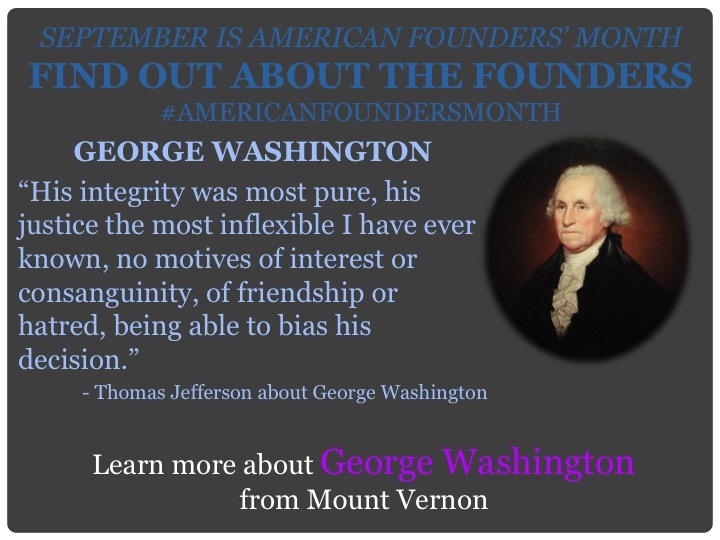 Today, we bring you this link to Mount Vernon, on the life, legacy, and character of our first president.